Dish Covers - Prevent the loss of signal due to snow and ice. Satellite Rock - The original Satellite Rock Cover! Radome cover - The highest level of protection for your dish antenna. Performance light weight sturdy radome. Standard and special colors for microwave antenna radomes are listed in the table above. Compliant with U.S. FCC and U.S. FAA regulations. Custom molded radomes for other special applications are available upon request. Replacement radomes are available for most mobile and portable RV, bus, camper and marine units. We have a large selection of satellite dish covers and passive snow and ice solutions. Protect your dish from signal loss due to the build-up of snow and ice. We manufacture dish covers-Wikipedia in every size. Our patters include antenna sizes that range from 20cm up to +7.5 Meter. Common manufactures includes Patriot Antenna, Comtech, Harris, Prodelin, DH Satellite, ASC Signal, Superior, Channel Master, ASC Global, Raven, General Dynamics, Winegard, Mesh Antennas and many others. Protect your dish from these elements. We have DirecTV and Dish Network snow and ice covers. The highest level of a passive snow and ice covers on the market. 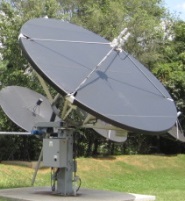 DirecTV Slimline, Dish Network, TurboHD and other small DBS dish cover solutions. This standard gray cover is made of a heavy duty 4-way stretch vinyl fabric for a tighter fit that guards against snow and ice buildup on your dish. DBS & Custom Covers Colorful Designs, Patterns, Sizes and more. We can make a custom cover for you in any size to fit your needs. Full Dish Cover Fabric, NFPA-701 Fire Compliant, UV Stabilized, Mildew Resistant, and -60F Cold Crack. VSAT - HTS Slightly larger dish antennas. HughesNet, WildBlue, Exede, Starband, ViaSat and other offset and prime focus antennas. We offer a Goretx High quality and Heavy duty cover, Teglar cover, Hypalon cover Planar cover and PVC cover. These prevent snow and ice build-up and signal loss. We use UV stable threads on all stitching and stainless steel ratchet fasteners to provide you with the best passive solutions. Call Today - Help prevent the loss of signal due to snow and ice. Extremely durable and cost effective. We also have other custom antenna covers and non parabolics. "It's like a big electric blanket for your satellite dish"
SatelliteDish.com is a worldwide leader in active satellite dish climate control on both smaller DBS antennas and the larger dish antennas. Satellite Dish Heaters - Our snow and ice solutions. We offer the highest quality de-ice systems available on the market today. A heater is the best solutions for preventing snow and ice build-up on your satellite dish antenna. Effective de-icing was observed down to the temperature of -25 degrees Celsius. Eliminate snow and ice on the surface of the reflector - Active Satellite Dish Heater. Systems that are the 100% solution. Dish Heater - Your options can include - Thermostatic / Moisture Sensors, Forced Air Solutions, Feedhorn Arm Defrosters, Shakers, and LNB Heaters. Complete line of active satellite de-frosting snow and ice systems. They are custom fit to your satellite dish antenna. Available in 110 / 240 volt AC electric, natural gas, and propane, These dish heaters come equip with a built-in thermostat that turns on when the temperature falls below 35 degrees. Small Dish Heater -The best active solution on the market. DirecTV, Dish Network, Shaw, Bell, HughesNet, WildBlue, Exede, Starband, ViaSat, and other relatively small antennas. The self adhesive heating element sticks right to your satellite dish! Comes complete with power supply and a built-in sensor that turns the heater on in freezing conditions. Stop the signal loss caused by the build up of snow and ice on your satellite dish. Make your larger dish look like an umbrella. Call for available options and specifications. We are pioneers in the art of camouflaging satellite dishes. "I was less than 2 feet away and couldn't tell there was a dish there !" "My neighbors don't even know I have a dish." We have the best camo patterns for concealing your satellite dish on the market today and we specialize in the art of camouflaging satellite dishes. There are several products to camouflage your dish: special patterns, laminated fabrics, molded composites, etc. For Special or Custom Orders, please e-mail or call. If you need a custom color or size they are available. We also sell camo covers for the larger C-Band satellite dish antennas. Satellite Rock - The original Satellite Rock Cover ! We have been manufacturing satellite rock covers for more than 30 years. We have the #1 satellite rock cover in the world - these can be very expensive but well worth it. As they weather, they acquire a natural patina which is indistinguishable from a natural stone. We also manufacture rock covers for the larger C-Band dishes. Ask about our larger satellite rock covers and our tracking rocks. "Is that rock moving?" These rocks are also available in a dual axis tracking configuration? Our boulders are realistic, waterproof, lightweight, and strong. The surface is colorfast and UV resistant. Satellite Rock Cover- If you need a custom color or size, they are available. Indistinguishable from a natural stone. Larger satellite rock covers, special orders, and custom rock covers- Call Today. We are a worldwide leader in the manufacturing of satellite dish weather covers, snow & ice covers - heater systems and satellite camouflage covering. We have the finest solutions available today for nearly every satellite dish antenna on the market. These covers stop snow build-up signal loss. We can design and manufacture any cover for your satellite needs. For Special or Custom Orders, please e-mail or call. You will need to provide relevant information such as the width, height and depth, etc. Colorful designs, patterns, sizes and more.